Here is a trailer for a film about the plastic pollution on Midway Atoll. Midway Atoll is situated in the North Pacific Ocean, about halfway between USA and Asia, hence the name ‘Midway’. Because of its location, it is particularly susceptible to marine debris from the Pacific Gyre, resulting in the beaches getting swamped by plastic pollution. This film is a bold reminder of the extent of our world’s plastic problem; it is such a horrible sight to see. There are 1.5million Laysan Albatross inhabiting the Midway Islands, traces of plastic have been found in nearly all of these birds digestive systems, furthermore a third of Albatross chicks die due to plastic caused starvation! 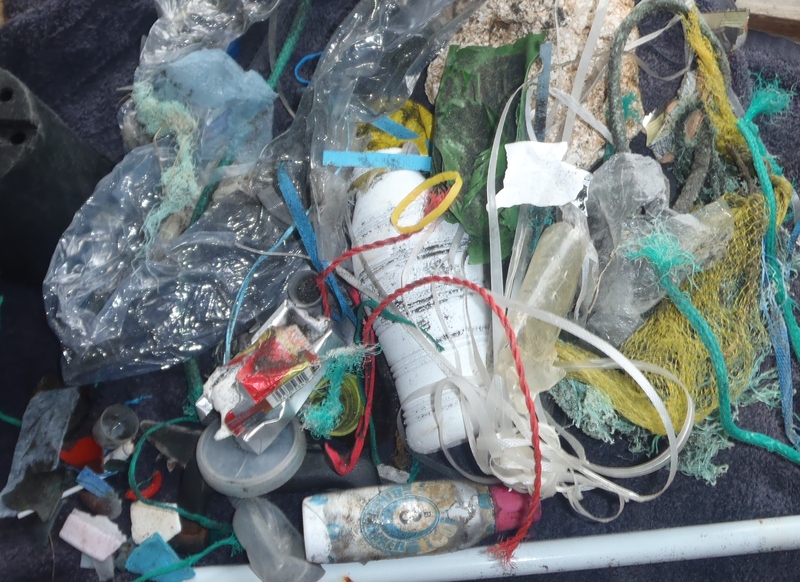 The state of this Atoll demonstrates the extent of the Great Pacific Garbage Patch, and really proves the severity of the world’s plastic problem. So there should be no excuses to collect litter off the beach, limit use of disposable plastics and recycle as much as possible! Beach status now: Not clean at all. 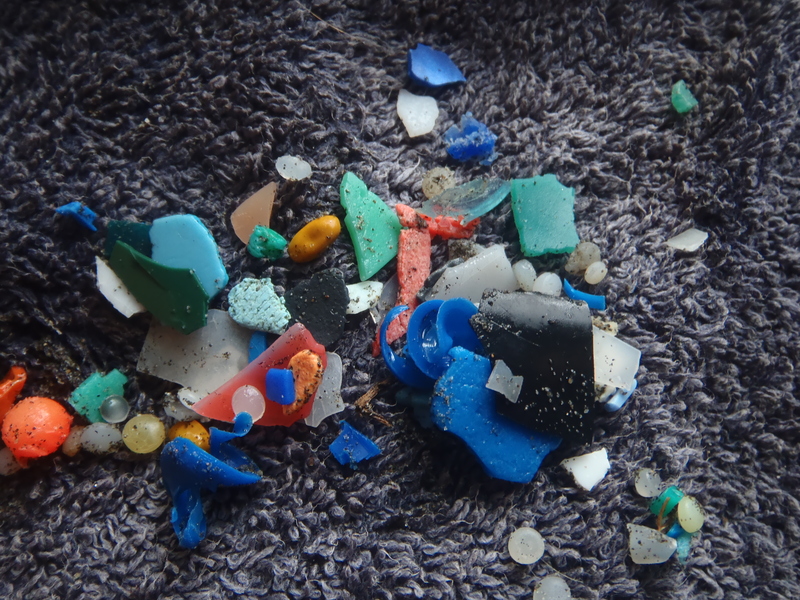 If I had time, I think I could have found thousands of pieces of micro plastics. It is really depressing to see Nurdles on Raglan beaches, they cause huge problems for marine life as they look very similar to fish eggs, so get eaten & fill their stomachs, making them eventually starve. Amount in landfill: 60% (unfortunately) Everything else! 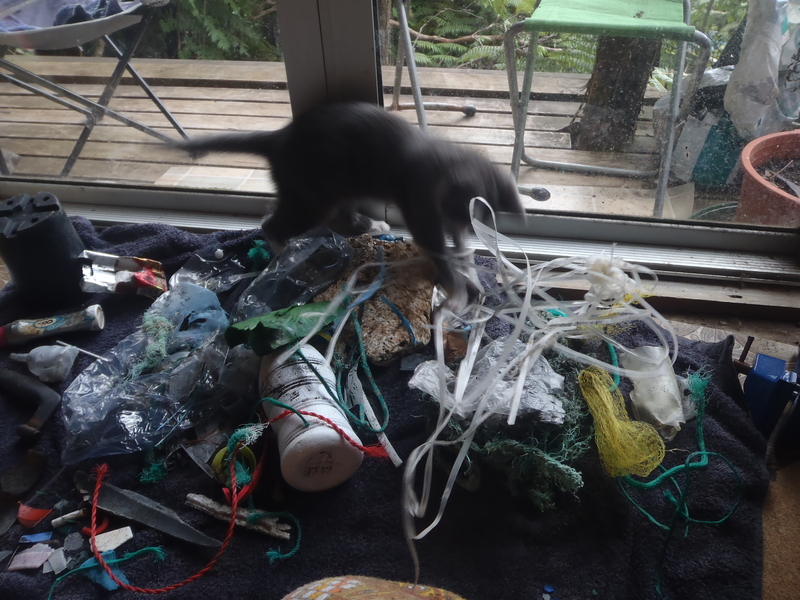 Marine debris + Kitten = hours of entertainment! Catalyst: Plastic Oceans was recently aired on ABC in Australia. This show is about the current research on marine debris by CSIRO (the Commonwealth Scientific and Industrial Research Organisation) and it highlights the plastic pollution problem in Australia. The flesh footed Shearwater populations on Lord Howe island are an example of how bad the plastic pollution problem has become; many shearwaters, both adult and chicks have been many found dead with stomachs full of plastic. Examinations of these birds show they are the most contaminated marine bird populations on the planet; they had concentrations of mercury up to 1000-3000ppm; anything above 4.3ppm is toxic to birds! Plastic that has been in the ocean for many years acts as a sponge to contaminants in seawater, and they stick to the surface of the plastic. The surface of marine plastic has been found to contain 1000times more contaminants than in the surrounding seawater. This is also a major issue for humans, as these toxins accumulate up to food chain, ending with us! So everyone needs to try and avoid using single-use plastics…and if it is absolutely necessary make sure they are reused or recycled!